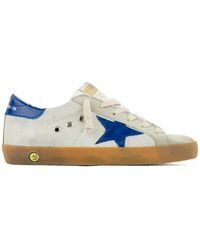 Founded in 2000 by Italian designers Francesca and Alessandro Gallo, Golden Goose Deluxe Brand puts a refreshing twist on high-end sneakers for urbanites with a fashion-conscious focus. 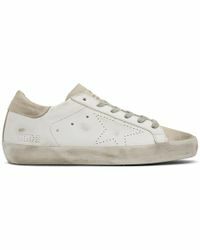 Known for its use of distressed-look rubber, soft leather and textural suede, the label draws inspiration from retro symbolism, modern art and playful tactility. 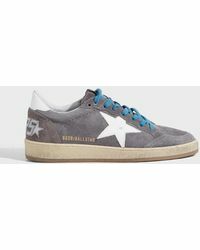 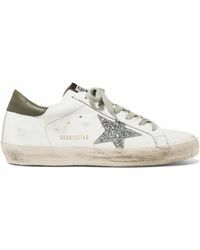 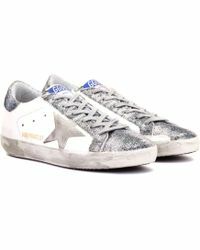 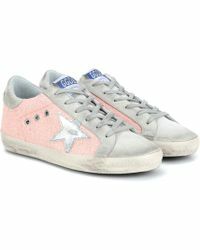 Easily identified by metallic star appliqués, Golden Goose Deluxe Brand's ready-to-wear clothing and accessories are equally as well-loved as its sneaker designs. 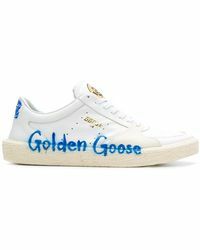 Browse and shop the full range of Women's Golden Goose Deluxe Brand Clothing, Shoes, Accessories and Handbags as well as Men's Clothing, Men's Shoes, Men's Accessories and Men's Bags.